ometownTV has 7 independent digital TV channels and can be seen on ‘over-the-air TV channels 26.1, 26.2, 26.3, 26.4, 26.5, 26.6 and 26.7. 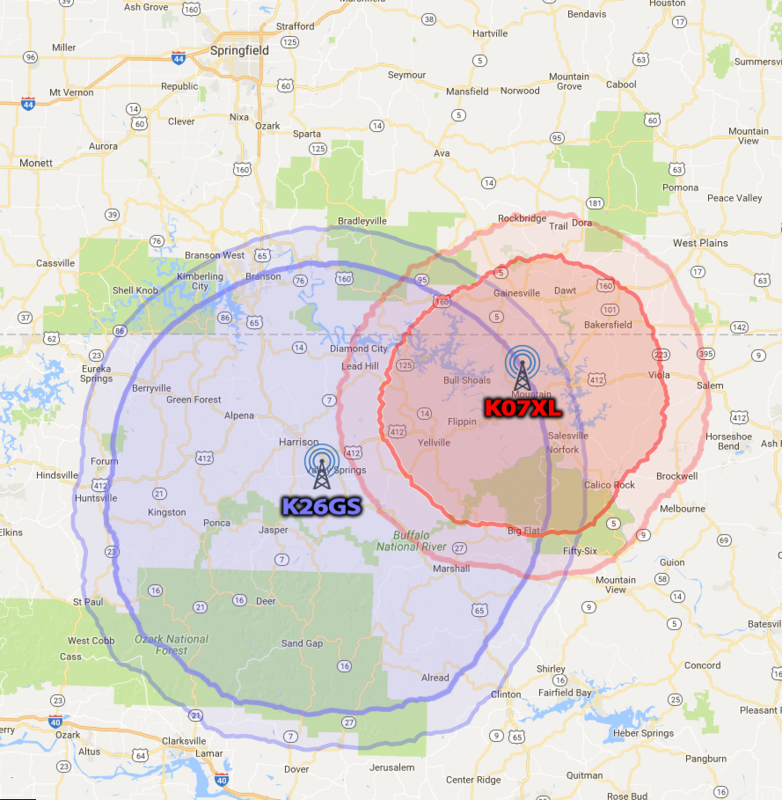 In the Harrison market, K26-TV is located on Boat mountain with a potential 210,000 viewing audience in Boone, Newton, Searcy and Marion and Carroll County in Arkansas and Taney county in Missouri. K26-TV is carried full-time by surrounding cable systems including Cox Communications in Harrison, Ritter Cable System in Jasper, Everton and Western Grove. Izard counties in Arkansas and Ozark county in Missouri. ‘Over-the-air’ broadcast of XL7-TV can be received on channels 26.1, 26.2, 26.3, 26.4, 26.5, 26.6 and 26.7. XL7-TV is carried by the Suddenlink cable system in Mtn. Home, Bull Shoals, Cotter, Flippin, Gassville, & Midway . Also seen on the Salem/Viola Cable system and on the Yelcot cable system In Yellville/Summit, Calico Rock, Melbourne, Mtn. Pleasant, & Mtn. View area. Collectively, K26-TV & XL7-TV reach a total audience penetration of over 234,000 potential viewers with the focus on wholesome, family entertainment with affiliation with ThisTV, Light TV, Justice Network, Comet TV, Charge!, MeTV, & InfoWars. HometownTV’s stations XL7-TV & K26TV also feature a healthy mix of locally produced programming including local daily news updates, weekly talk shows and other programs produced exclusively for the entertainment and education of our local viewers.